Milwaukee, or MKE, is an awesome town and home to about 600,000. The metro area has about 1.5 million, making it just about the size of the city of San Diego. The city is known for beer, and the world’s largest music festival Summerfest. I guess the other thing it’s known for is cheese since it’s in the great state of Wisconsin. Cheese is everywhere! Also located in Milwaukee are Milwaukee Tools, Miller Brewing Company, the MLB’s Milwaukee Brewers, and the NBA’s Milwaukee Bucks. Here some awesome things to do and see while you’re out here. The Milwaukee Art Museum is an architectural landmark, comprised of three buildings designed by three legendary architects: Eero Saarinen, David Kahler, and Santiago Calatrava who designed the iconic “Calatrava’s Wings.” It’s just a few minutes walk from The Astor Hotel. Lake Michigan is one of the Great Lakes, if not the greatest. I mean, who cares about Lake Erie. 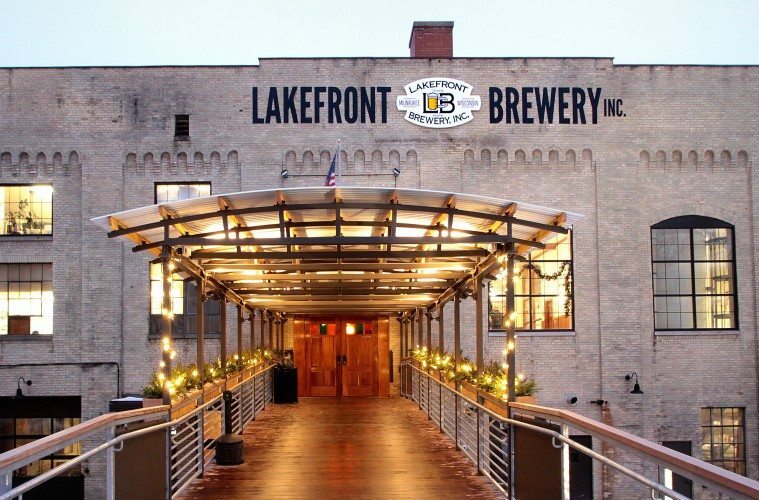 Long before the craft beer scene explosion in America, Lakefront Brewery has been brewing craft beer before it was cool. Since 1987, the brewery had provided small barrels to local restaurants becoming a staple of the Milwaukee beer scene themselves. At the brewery, they provide a tour and a local taste of Milwaukee! Also known as “the Domes” this place is basically a biosphere. I’m also pretty sure Pauly Shore made a movie in one of the domes, but don’t quote me on that because it probably didn’t happen–I just want it to have happened. We recently toured this amazing mansion and even considered having our wedding here. The Pabst Mansion is an opulent museum and decorated to show the history of Milwaukee. Definitely a rad place to check out!